HOW MANY THINGS CAN YOU PERSONALIZE WITH THE WTG-FC POLARTNEW 04R TRANSFER PAPER AND WHITE TONER? With WTG-FC POLARTNEW 04R it is now possible to personalize with white opaque graphics packaging and paper or cardboard colored objects including note pads in recycled paper, cardboard pencil cases and paper bags. With this transfer paper for White Toner it is possible to decorate colored plastic or coated gadgets including key rings, business card holders, bags, menu folders, table planners, diaries, writing pads and many other gadgets in a variety of materials, including: PVC, nylon, polyester, flatter, rubber and flex. For these applications use WTN-FC POLARTNEW 04R. 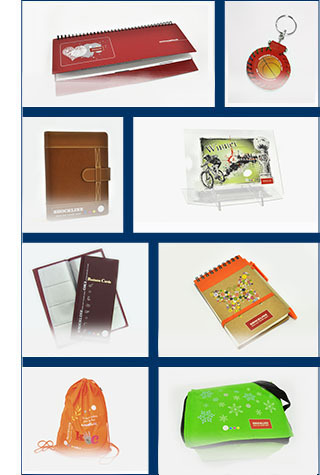 Besides, this transfer paper can be used with White Toner for many small leather/artificial leather objects like diaries, key rings and wedding albums. For these applications use WTP-FC POLARTNEW 04R. Transfer papers for cardboard and gadgets. Suitable for laser/led printers with White Toner. Apply with heatpress.